At Hammonds Furniture Store, we carry a wide variety of products and brands to satisfy the taste of every customer. We only carry products that are of exceptional quality, but are still budget friendly. With no commissions to pay, we are able to sell furniture at a lower price. Click any manufacturer below to browse their selection. Anything they carry, we provide. To see what we have to offer your home, come visit our showroom today. We would love to show you around! 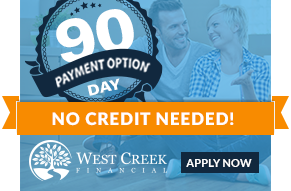 We are partnered with West Creek Financial so we can help you finance whether you have bad credit or no credit.